"Long before the 1900s, our family was already growing almond trees on the Valensole Plateau." Before 1900: the Jaubert family already cultivated almond trees and lavender on the Plateau de Valensole. 1950: At this time, the almond trees, unprofitable, gives way to vast expanses of lavender and durum wheat. 1974: Jean-Pierre Jaubert joins his father Pierre-Jean Jaubert to work on the farm. 1982: André Jaubert joins his brother Jean-Pierre to work together on 350 hectares of lavender and lavandin, durum wheat and rapeseed. 1993: The Jaubert brothers leave the neighborhood cooperative to have their own traditional distillery in order to have a perfect traceability of their essential oil. 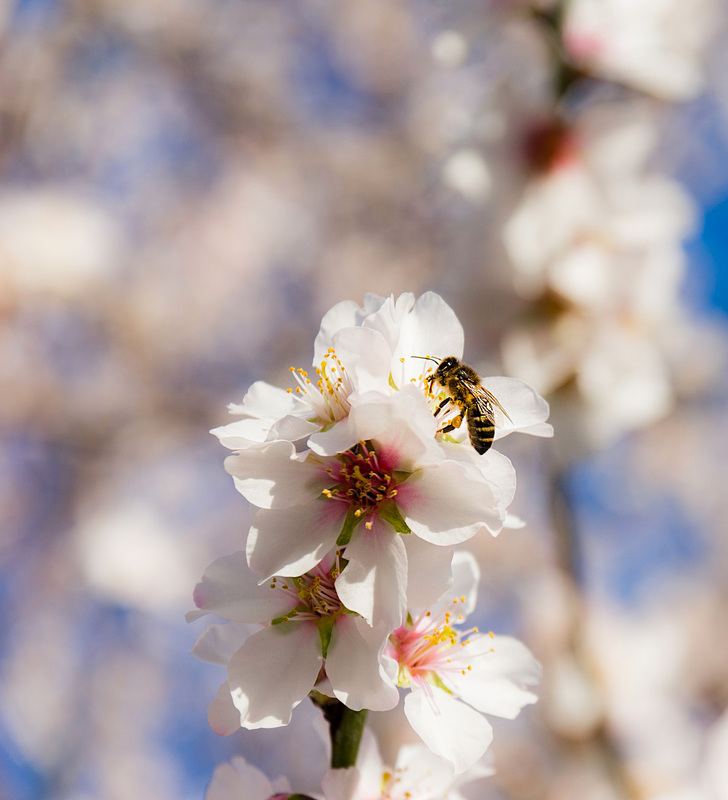 2000: In memory of their ancestors, Jean-Pierre and André, decide to revive the production of almonds of Provence. They plant 5000 almond trees, traditional culture of the Valensole plateau. 2005: The orchard has 10,000 almond trees. 2009: Opening of the SCEA Le Canet farm in Valensole. Pauline Jaubert, Jean-Pierre's daughter, takes care of it while Séverin Jaubert, André's son, takes care of the farm. 2010: Séverin maintenance 15 000 almond trees, 200 hectares of lavender and lavender and cereals. Pauline takes over the point of sale of the farm and creates the Terraroma Jaubert factory shop. 2017: The orchard has 20,000 almond trees. By dint of will and perseverance, almond trees are once again part of the beautiful Provencal landscape. 2018: Opening of the second Terraroma Jaubert store in Gréoux-les-Bains. Terraroma is first the land, the land of Provence where this emblematic tree of the plateau of Valensole, the almond tree grows. Symbol of spring, it is for the family business a symbol of love because it is in almond trees that Pauline's grandparents met. With more than 20,000 trees including 12,000 in production, Terraroma is able to offer this almond from Provence so sought after for its quality and its unique taste almost all the year. All in reasoned agriculture. Terraroma is also the aroma, the aromatic and perfume plants and especially the lavender which the Jaubert family has been extracting for several generations according to the traditional method in its own distillery. 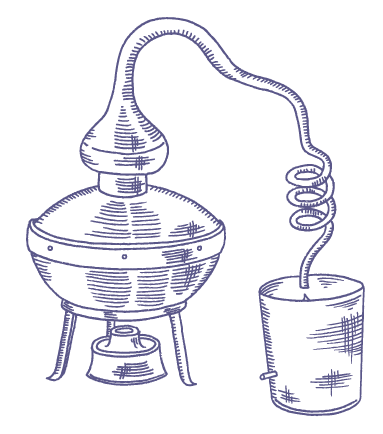 As at the time, the flower is first prefanned before being distilled. There is much more work and manpower than modern methods but the quality is much higher. The farm produces lavender and lavandin essential oil and visits its distillery during the summer season. Terraroma is also honey, treasure of the hive, sweet nectar harvested by Benoît Millet the companion of Pauline. Passionate about beekeeping and very concerned about animal welfare, he manages to provide a honey of excellent quality. It currently offers lavender, sunflower and forest honey and plans to expand its production range. Terraroma also offers a range of cosmetics with lavender, almond and honey made in Provence.